Whether you’ve just got a user researcher on your team, or you’ve been working together for a while, there are ways you can make sure you’re collaborating as effectively as possible. User researchers work with the entire team. So whether you’re a product manager, a delivery manager, a designer, a developer or an analyst, your team’s user researcher will be able to help you. Here are 10 tips for getting the most out of your user researchers’ skills. A user researcher is there to help the team learn about users’ behaviours, struggles and needs. 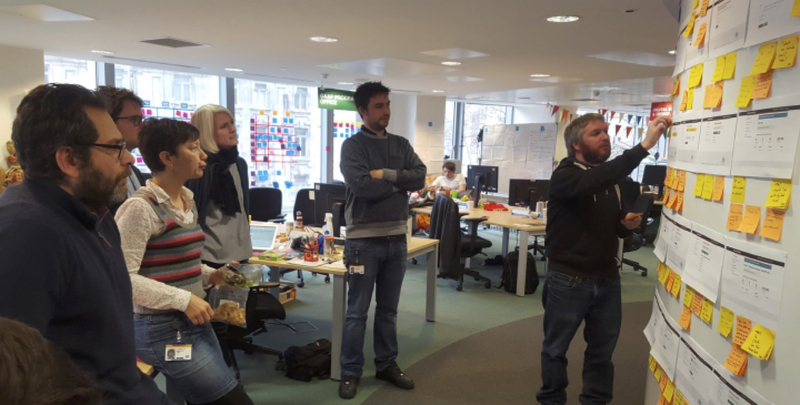 This includes: helping you to frame useful questions for user research, designing and delivering user research, then analysing findings and presenting back actionable insights to the wider team and stakeholders. User researchers won’t do something just because it’s got the word research in it. For example, they shouldn’t be doing technology research or looking at the flow of data in a business process. But they may support this type of research by working with an expert in that area. Equally, you shouldn’t expect them to tell you how you should change your product. They can help you understand what’s working or not for users. The question of how to change your product is a design and product management conversation, and user researchers will feed into that. User researchers don’t like being in the dark. Practically or metaphorically. On a practical level, encourage and enable them to get out of the building and meet users. Metaphorically, make sure you keep your user researcher in the loop about what you’re planning so they can align their research activities. How you do this depends on your team, but it could include involving them in planning meetings or collaborating with them on your product roadmap. You’ll get poor results if your user researcher doesn’t have a clear sense of what you want to find out and why you need to know it. The more specific you are about questions you have, and why you want to know answer them, the better results you’ll get. The team needs systematic ways to incorporate user research findings into the product development and direction. Otherwise it doesn’t happen. There’s plenty of ways to do this. It could be regular user research playbacks to share research with the team. It could be creating accessible documentation of what questions the user research is asking and answering, such as the knowledge kanban. Or it could be including user researchers in short and medium-term planning conversations. Make sure someone from the team joins the researcher regularly to observe user research. It’s not for the researcher’s benefit. It’s for the team. Otherwise, the team will forget about their users. I guarantee it. Recruiting research participants is hard. It always takes longer than you want it to, so make sure you plan for that. Even when you get participants lined up, not every test will go well. Sometimes people cancel, are late or just end up not being the right people to test with. Expect this. Screen your participants well and plan for mishaps with the numbers you recruit. Doing the research sessions is not the end of the process. Make sure you set aside time to analyse the research data, and create and communicate clear findings. We say ‘1 part research, 2 parts communication’. Expect and plan for this. Sometimes you may feel you’re not getting useful things out of your user research. Be open with your user researcher. Make sure they have specific questions to answer, and help them to focus on things the team can take action on. So that’s my starter for (literally) 10. Do you have your own tips for working with user researchers? Please put them in the comments. I’m sure this is just the first 10 points of a much longer list! Follow Kieron on Twitter and don’t forget to sign up for email alerts.